What is "A Real American"? The failing Democrat Party, desperate for a narrative is now branding President Trump as being less than a 'real American'. Evan McMullin, a failed Independent Party candidate who only won votes in rural Utah, where he campaigned, has taken up that rant as well as he tries to increase his traction on the national stage with an eye on the next national election cycle in 2020. 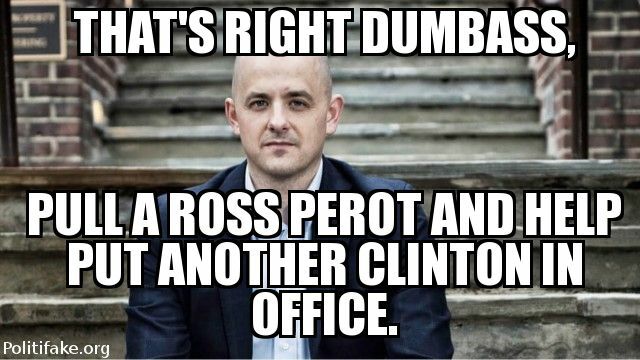 McMullin is a smart guy, but his unbounded ego will get him in trouble. You heard that first here on Virtual Mirage. 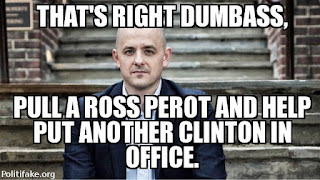 McMullin brands himself a real American, and I don't doubt his patriotism, but is he the messianic conservative savior and did his run serve to unify against a Clinton regime? Or did it divide on the basis of McMullin's cant? Even (choke) Hillary Clinton is a real American. I disagreed with her on every single policy item that she put forward. 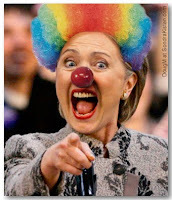 I think that she was a disastrous SecState. I believe that her paranoia and xenophobia landed her in serious trouble with her e-mails. Her desire to cover up her screw ups led to the death of Americans in Benghazi - it was not an "awful internet video". Ever word out of the filthy sewer she calls a mouth is a lie. But she's an American. Therefore the current memes being tossed about smack of disingenuous intent - false candor. Donald Trump has done nothing but promote Constitutionality with an effort to date, to return to a rule of law. Barack bypassed Congress, and President Trump has signaled an unwillingness to do that. How is that un-American -- or is it just sour grapes. The latest attempt to discredit President Trump has been a "blame Russia" push by the New York Times, Washington Post and other discredited publications. Nancy Pelosi's daughter (a member of the electoral college from California) has joined the fray. The Dems feel that by Wikileaks exposing John Podesta's e-mail - showing how the sausage is made, the American people caught a glimpse of what was going on and decided not to vote for the anointed President, Hillary. However the question of Russian involvement remains tenuous despite the assertions of the corrupt media. It seems as if icons like CNN and MSNBC are pushing out fake news -- again. Now they're trying "Real American", and the ego-driven Evan McMullin has jumped on the band wagon with Shrill Jill Stein and other hopefuls who received a micro-percentage of votes cast. In the end the American public will decide who the real American is. 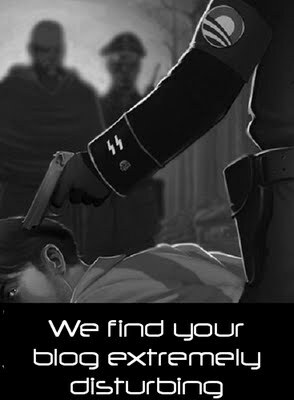 I suspect that it will be the person who tries to Make America Great Again. Iraq has vast stores of weapons of mast destruction - we must invade. If you like your doctor, you can keep you doctor. The attack on Benghazi was caused by an internet video (see Hillary Clinton, right).